Take to sea on board a ship flying the flag of the PONANT, and discover the peerless pleasure of cruising on your own private yacht. Take to sea on board a ship flying the flag of the PONANT and discover the peerless pleasure of cruises in an atmosphere reminiscent of your own private yacht. No matter which ship you choose, you can be sure of an outstanding experience in a setting specially designed for your well-being and privacy. Each of the five ships, have their own individual personality and symbolize the art of cruising “A la francaise” in line with our company philosophy. Elegance, Emotion and Authenticity. Welcome aboard! With itineraries carefully planned to whisk you away from the familiar, the PONANT cruises will take you to secret moorings way off the beaten track. Be it in the Caribbean, in the Europe, every port of call offers a wealth of unexpected surprises. The originality of our ship’s itineraries will give you a chance to venture to lands that are usually inaccessible. On board you are more than a passenger: you are a guest. Crew members, all versed in elegant discretion, are there to meet your every need. 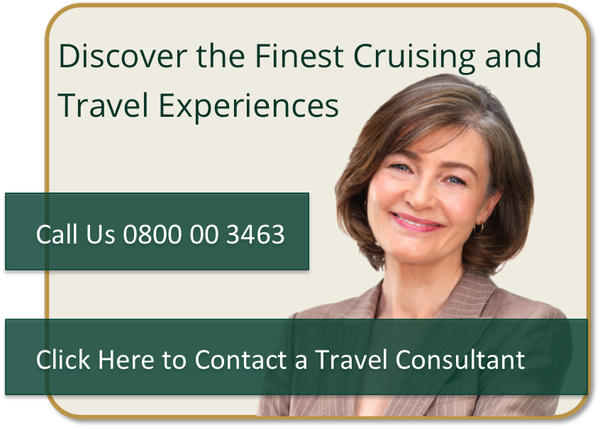 Service is their watchword, and they will see to it that you enjoy the sort of welcome that will make your cruise a unique experience, but with as much peace and quiet. On your cruise, you will find there is plenty to do. You can tend to your body and get yourself in shape with the expert guidance of a fitness trainer. The sea itself will be the outlet for your passions, with regular nautical activities on the agenda : wind-surfing, water-skiing and diving. But if you just want to take a break, then you can settle down on deck and revel in doing nothing, or sit at the bar and share your impressions with the new friends you have made. Many extras included: all meals while onboard, mineral water, tea, coffee, open bar (excluding Fine Wines, Premium Liquors and Champagne), gratuities, evening entertainment and events, baggage handling from pier to ship and vice versa. 10 Night cruise departing from Athens to Aqaba onboard Le Bougainville. 11 Night cruise departing from Recife to Dakar onboard L'Austral. 14 Night Cruise sailing from Nome to Vancouver aboard L'Austral. 10 Night Cruise sailing from Otaru to Osaka aboard L'Austral.